Two-day event takes place on London's South Bank. 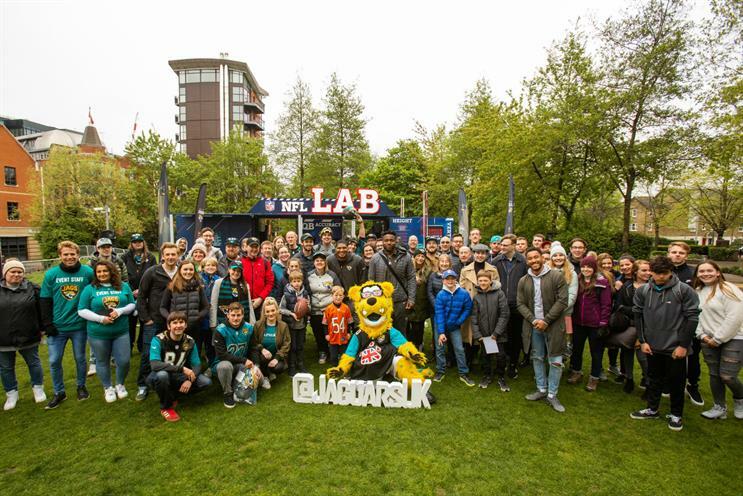 National Football League team Jacksonville Jaguars are hosting a two-day celebration in London focusing on fun skills, following a similar event last year. Fans of all ages are being encouraged to take in a series of physical challenges, testing vertical jump skills and throwing accuracy. Guests can compare their stats to the professionals and be in with a chance of winning prizes, such as tickets to the Jaguars versus Houston Texans game at Wembley. Visitors can also take part in video-game challenges. Food and beverage will be available at the event, along with a merchandise zone. The activation is taking place on 27 and 28 April on London's South Bank.